On January 26, 2012, a Guatemalan court determined that there is sufficient evidence to formally charge former dictator Efraín Ríos Montt with genocide and crimes against humanity. The ruling marks a dramatic turning point in Guatemalan efforts to redress the worst human rights violations in recent Latin American history perpetrated by the military against indigenous peoples during Ríos Montt’s “scorched earth” counterinsurgency operations in the 1980s. Ríos Montt was the de facto military leader for 17 months between 1982 and 1983 after he took power and abolished the constitution. Prosecutor Manuel Vásquez told the court that he will produce documents, videos, and statements proving that Ríos Montt “had direct participation in the implementation of the plans” which resulted in 72 specific incidents where 1,771 people were killed, 1,485 acts of sexual violence were committed, and 29,000 Guatemalans were internally displaced. For the past 14 years, Ríos Montt had enjoyed immunity as a member of congress; however his term expired on January 14, opening up the possibility of bringing charges against him. 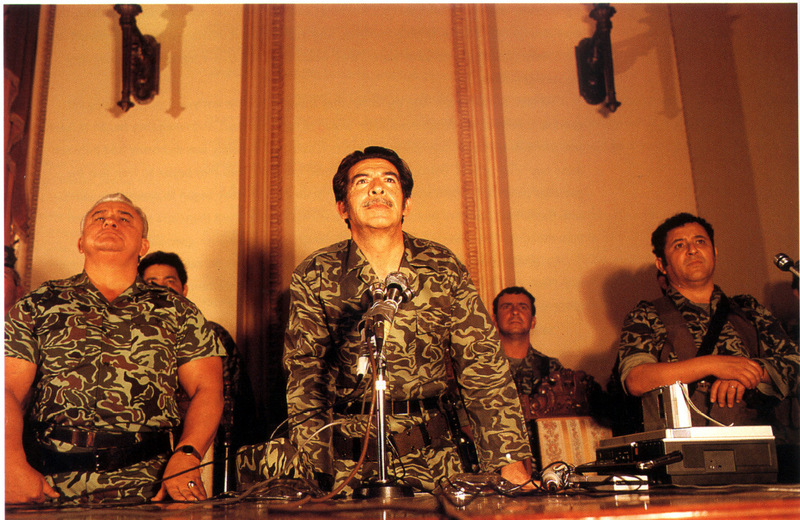 Ríos Montt is accused of laying the foundation for the military plans Victoria 82, Firmeza 83, and Plan Sofia in which the military used counterinsurgency operations to “exterminate subversive elements,” including the elderly, women, and children. 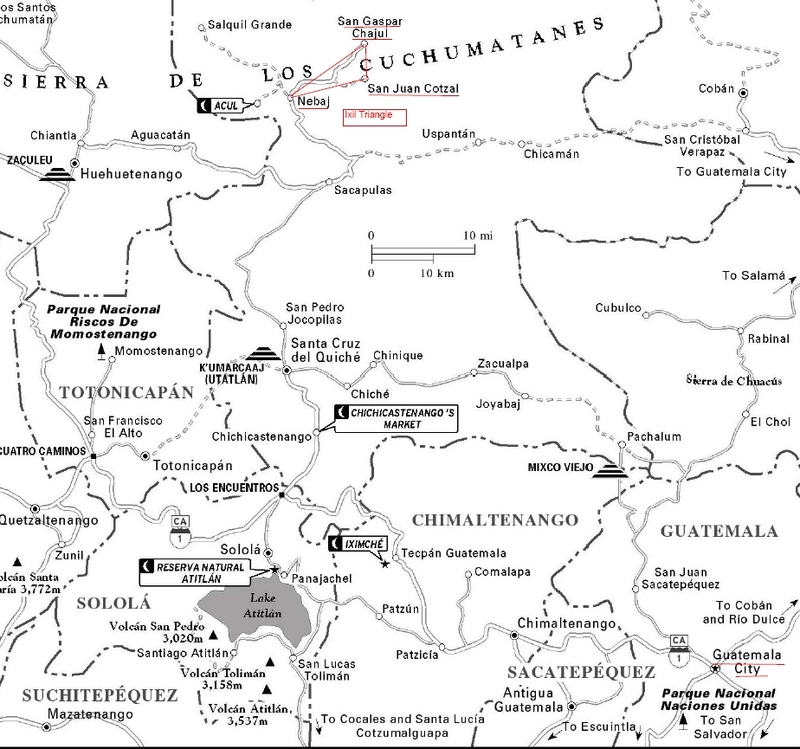 These military operations were carried about by Guatemalan military forces in the Ixil Triangle of the Quiché region and in other areas of the country. The Ixil Triangle consists of three ethnic Mayan-Ixil towns, Santa María Nebaj, San Gaspar Chajúl, and San Juan Cotzal. One of the key pieces of the trial will be to prove chain of command. That is, proving that the low-level officers in the highlands were reporting their actions to superior officers, and those superior officers, including Ríos Montt, were giving the orders and condoning their actions. The defense argued that Ríos Montt did not have command responsibility over his officers in the highlands, and that he is not responsible for the massacres and human rights violations. 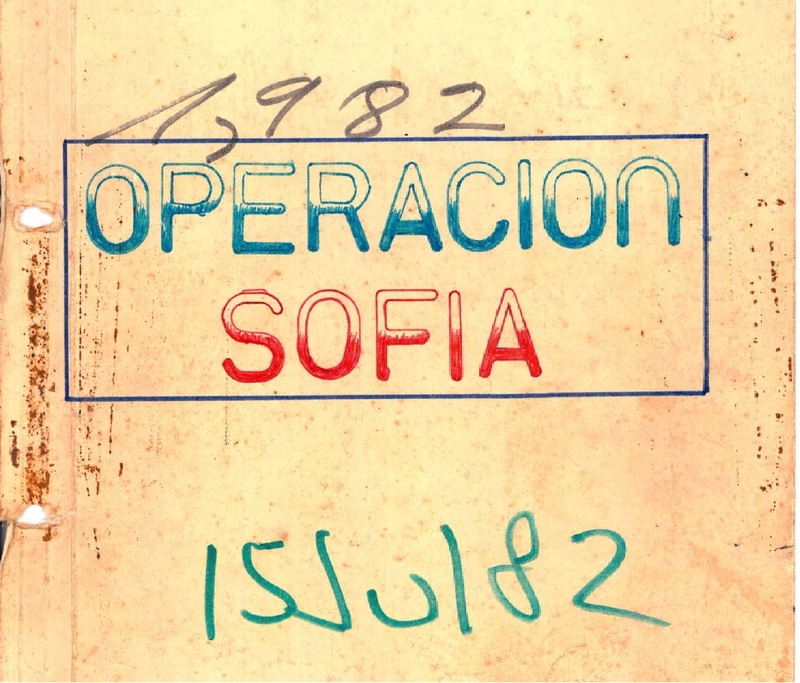 Another key piece of evidence to prove chain of command that was presented at the trial is the collection of secret Guatemalan military documents, Plan Sofia. The official Guatemalan government records of this counterinsurgency operation prove the criminal responsibility of senior government and military officials in the country’s genocide by detailing how the chain of command functioned during the war, says National Security Archive senior analyst Kate Doyle. [See Doyle’s first-hand account of her testimony, here.] The 365-page document was smuggled out of a secret military archive, given to Doyle and made public by the National Security Archive in December of 2009 after a lengthy authentication process. The two other key documents in the trial, Plan Firmeza ‘83 and Plan Victoria ‘82 are not available to the public, despite Guatemala’s former President Álvaro Colom’s creation of the Military Archive Declassification Commission in March 2009, which was tasked with sorting and declassifying military documents from 1954 to 1996. Approximately 12,200 documents were released to the public in July 2011 as a result of the Commission’s findings. Fifty-five documents remain classified, the Commission insisting that their release would be a risk to national security; two of those documents are Plan Firmeza ‘83 and Plan Victoria ‘82. The Commission has withheld these two documents, and possibly others that contain essential information related to this case, despite Article 24 in the Guatemalan Law of Access to Public Information, passed in 2008, which prohibits the withholding of information related to human rights violations or crimes against humanity. Members of the Commission have argued that no information related to human rights violations are contained in Plan Firmeza ‘83 and Plan Victoria ‘82, and that they remain classified due to current national security concerns. It is essential that the Guatemalan government release Plan Firmeza ‘83 and Plan Victoria ‘82, so that citizens can see for themselves what evidence they contain to prove the chain of command responsibility and hold perpetrators accountable for genocide. The charges against Ríos Montt and other high-level military and government officials for genocide are not new. In December of 1999, a group of Guatemalans led by Mayan leader Rigoberta Menchú filed suit in the Spanish National Court against 8 high ranking Guatemalan officials, including Ríos Montt. The charges were filed under the principle of “universal jurisdiction” and were upheld in the Spanish Constitutional Court. In February and again in December of 2009, National Security Archive’s Kate Doyle was called to Madrid to testify about evidence contained in thousands of declassified U.S. and Guatemalan documents which detail the activities of Guatemalan security forces. She testified about the composition of its military, its commanders, campaigns, military plans and general operations. The global community will be closely watching the Ríos Montt trial as the Guatemalan judicial system is tested for its ability to challenge deeply imbedded impunity for crimes of the past. “Impunity is a perverse state that generates damage not only to the victim but to society in general,” Judge Flores stated as she ruled Rios Montt must face justice. A successful, history-making prosecution in Guatemala will go a long way to addressing the wounds of genocide for which he is finally being held accountable. I think there is a mistake in your reference. What you have posted as plan Sofia is not a plan to exterminate children and elderly as written in your report. I have read the file and the only thing I found, were internal messages from the army. Ordering troop movements, platoon reports of events happening in the jungle. etc.. Can you send me a copy of the real plan Sofia? “exterminate subversive elements” which in many cases included the elderly, women, and children. One example of the “extermination” of women and children can be found on page 201 of the Plan Sofia document. This section of the patrol report records “contacts with the enemy” and provides a description of the people the patrol killed, or “eliminated”, including a woman her two children referred to in the report as “una mujer” (a woman) and “dos chocolates” (two chocolates) a derogatory term used for indigenous children. I think the Mayan descendants are the main who want this all go away and someone do the right thing about it. Like it says the Mayan leader Rigoberta Menchú had alredy presented some charges agains him. What else they want?